Having a strong hardness and low density, silicon carbide can be a great solution when looking for wear resistance with weight requirements. 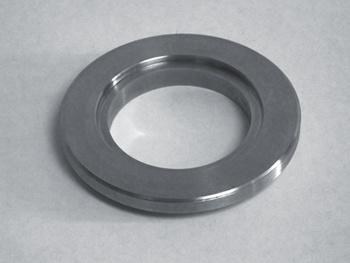 Silicon carbide, SiC, is utilized in a variety of industries ranging from semiconductor manufacturing to oil and gas applications. Because of it's unique characteristics, silicon carbide is able well in unique applications. Having a strong hardness and low density, silicon carbide can be a great solution when looking for wear resistance with weight requirements. If you're interested in learning if silicon carbide is a possible solution for your needs, or would like to discuss the characteristics of silicon carbide in further detail, contact us and someone will connect with you right away!